Superstar music master Danny Elfman (Hellboy II) has just been announced as the composer for Universal’s forthcoming remake of The Wolf Man. 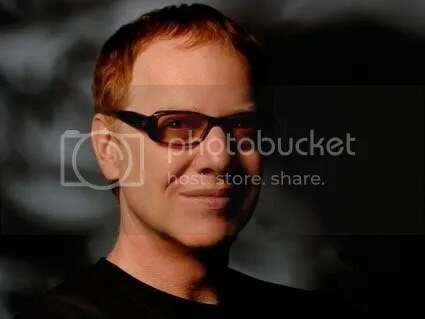 Elfman, who’s best known for his frequent collaborations with director Tim Burton as well as his theme for The Simpsons, is a good choice in my opinion, in addition to being a very obvious one (he did score Sleepy Hollow after all). I for one am looking forward to what musical wonders Mr Elfman will come up with. Set in the late 1880s, the film keeps the plotline of the original, with Lawrence Talbot meeting his father following the death of his brother. The film details events during Lawrence’s past that led to his estrangement from his father (which includes Gwen), and the setting is expanded from Blackmore (now identified as the village from the original) to London. The official synopsis states Talbot was traumatized by his mother’s death as a child, while Gwen Conliffe is his brother’s fiancée. Following his brother’s disappearance, Talbot hunts a murderer, which turns out to be a werewolf, and the curse is passed on. The film was originally to be directed by the über-talented Mark Romanek (One Hour Photo), but he left very early on due to budget disagreements, with the pretty competent Joe Johnston (Hidalgo) taking over as helmsman. Benicio Del Toro (Things We Lost In The Fire) plays the lead character and is joined Anthony Hopkins (Beowulf), Hugo Weaving (V For Vendetta) and Emily Blunt (Charlie Wilson’s War). The Wolf Man will be Universal’s third attempt at resurrecting their old horror franchises, following the success of The Mummy and the failure of Van Helsing (a seriously underrated movie by the way). It seems as though The Wolf Man, which features makeup from maestro Rick Baker (Norbit), will be a decidedly more serious-minded affair than those movies, which turned away some moviegoers with their more light, fun approach to the source material. This entry was posted in American Films, Celebrities, Horror Movies, Remakes and tagged Andrew Kevin Walker, Anthony Hopkins, Benicio Del Toro, Beowulf, Charlie Wilson's War, Comic-Con, Danny Elfman, David Self, Emily Blunt, Hellboy 2, Hellboy II, Hellboy II: The Golden Army, Hidalgo, Hugo Weaving, Joe Johnston, Mark Romanek, Norbit, One Hour Photo, Rick Baker, Road To Perdition, Sleepy Hollow, The Mummy, The Simpsons, The Wolf Man, Things We Lost In The Fire, Tim Burton, Universal, Universal Pictures, V For Vendetta, Van Helsing by Mr Hollywood. Bookmark the permalink. Andrew Kevin Walker is amazing! I’m going in to sixth grade next year, but last year, guess what! My teacher, Jill Boreman (maiden name:Jill Walker) is his sister! She got him to come in to our classroom and the whole fifth grade was crammed into the classroom! He was actually supposed to write a movie with Batman and Superman in it, and they were supposed to be enemies but sadly it never got made. :-( We also learned that he got inspired by Jaws the shark, and Jaws is why he writes mostly horror movies. And we are in Pennsylvania, so he came all the way from California just to meet us! In case you wanted to know our school was Newberry Elementary School. Great job on “Wanted”. I love “The Little Things”. Man are you diverse. You’ve come a long way from Oingo Boingo. Your music is SO Freakin Good.